Cholesterol is something that many Elderly and Senior individuals, and people in general, may not be too informed about. Having high cholesterol has long term health consequences by because since it can stuck on the walls of your blood vessels and lead to heart disease or stroke. For individuals who have had a stroke and high cholesterol was the cause, this article titled Lowering Your Cholesterol for a Healthy Heart provides useful information on how to modify your lifestyle to avoid high cholesterol in your blood. The article talks about how to interpret blood test screening results, what foods you should avoid, and why exercise is KEY. A-1 Home Care wants to help your Elderly or Senior loved one pursue a healthier lifestyle when they’re back at home from receiving medical care and rehabilitation from a stroke. 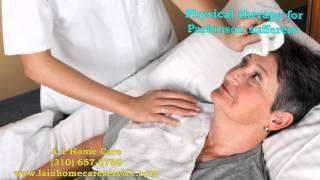 We provide in-home Post Stroke Care on a 24 hour Live-In Care or Hourly Care basis and can assist with activities of daily living, personal care, healthy meal preparation, exercise, and any recommendations from doctors, therapists, or dieticians. All of our Post Stroke caregivers, nurse aides, companions, and home helpers must have prior at home caregiving experience, verifiable professional references, a National Background Check/DMV Check, Tuberculosis testing, Malpractice/Liability insurance, First Aid/CPR training, and a personal interview with our office staff. We serve the LA communities of Downey, Whittier, Norwalk, La Mirada, Cerritos, Lakewood, Seal Beach, San Marino, Long Beach, Malibu, Glendora, Covina, and others in Los Angeles County. To interview and hire a Post Stroke caregiver in your area today, CALL us at 562-929-8400 for a FREE in-home assessment. 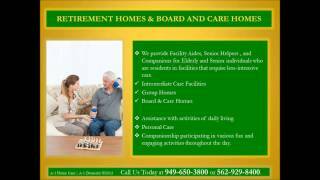 For more information, visit us at Downey In Home Care. When you get the O.K. from a physical therapist to provide a cane for your Elderly loved one, it’s important that you get one that is the right size and that your loved one knows how to properly use it. Physical therapists can provide everything you need to know, as well as training for how to get around with a cane. One of the most difficult aspects about using a cane may be ascending and descending stair cases. This article titled Using a Cane provides basic information about how to find the right cane size and how to walk with it so that you can help out if your loved one is having trouble using it. Fall risk is just as high with a cane if your loved one doesn’t know how to use it effectively. At A-1 Home Care, we provide 24 hour caregivers who can assist your Elder or Senior loved one with mobility issues and supervision as they get around the home or outside. The safety of your loved one is our top priority. We specialize in Elder Care services ranging from basic Companion Services to more specialized care such as Arthritis Care, After Surgery Care, Parkinson’s Care, Alzheimer’s & Dementia Care, Diabetic Care, Cancer Care, Hospice Care, Incontinence Care, and Post Stroke Care on a 24 hour Live-In Care or Hourly Care basis. Our 24 hour caregivers serve the communities of Downey, Norwalk, Lakewood, Whittier, La Mirada, Cerritos, Long Beach, Santa Fe Springs, Covina, Diamond Bar, San Dimas, La Habra, Yorba Linda, Los Alamitos, Seal Beach, Pico Rivera, and others in Los Angeles County and Orange County. 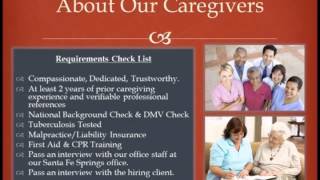 All of our care givers, nurse aides, companions, and home helpers must have prior at home caregiving experience, verifiable professional references, a National Background Check/DMV Check, Tuberculosis testing, Malpractice/Liability insurance, First Aid/CPR training, and a personal interview with our office staff. To interview and hire a compassionate caregiver in your area, CALL us at 562-929-8400 and visit us at Downey In Home Care. A-1 Home Care has been a care provider in Los Angeles County and Orange County since 1991 with an A+ Rating from the BBB, Shield Accreditation, and a handful of positive client testimonials over the years. As an adult child who cares for your Elderly parent, it should be your responsibility to know three things about depression. 1) Elderly individuals may try to hide their sadness because they grew up in a time where depression was viewed as a weakness of character and not a medical illness. 2) If your loved one already has an illness such as Alzheimer’s, dementia, Parkinson’s, Diabetes, or Cancer, some symptoms such as fatigue, weight loss/gain, social withdrawal, insomnia, and slowed movement are also symptoms of depression. 3) If your loved one takes medication, some of the side effects of medication may cause your loved one to show the symptoms of depression. Before determining that your loved one has depression, your loved one should get a full physical check-up to find out what the problem may be, and if it is depression, treatment options are highly effective – whether antidepressants or talk therapy. At A-1 Home Care, we understand that social isolation and living alone may be one of the root causes of your loved one’s depression. It’s painful when you live alone, don’t have any close social ties, and family is too busy to visit or lives too far away. 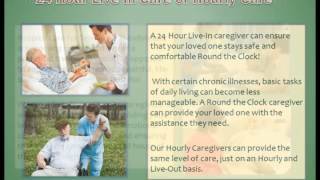 We provide compassionate and experienced caregivers, nurse aides, and companions for Companion Services on a 24 hour live-in basis or hourly part-time basis to give your loved one someone to talk to or participate in fun activities with. A-1 Home Care is a Licensed Bonded and Insured non-medical homecare agency that has been in business since 1991 with an A+ Rating from the Better Business Bureau and Shield Accreditation. 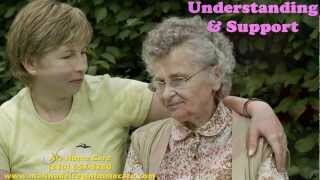 We specialize in Elder Care services such as Alzheimer’s Care, Arthritis Care, Parkinson’s Care, and Cancer Care in the communities of Downey, Whittier, Norwalk, La Mirada, Cerritos, Lakewood, Seal Beach, Yorba Linda, Garden Grove, Los Alamitos, and others in Los Angeles County and Orange County. To hire a compatible caregiver in your area, CALL us at 562-929-8400 for a FREE in-home assessment. 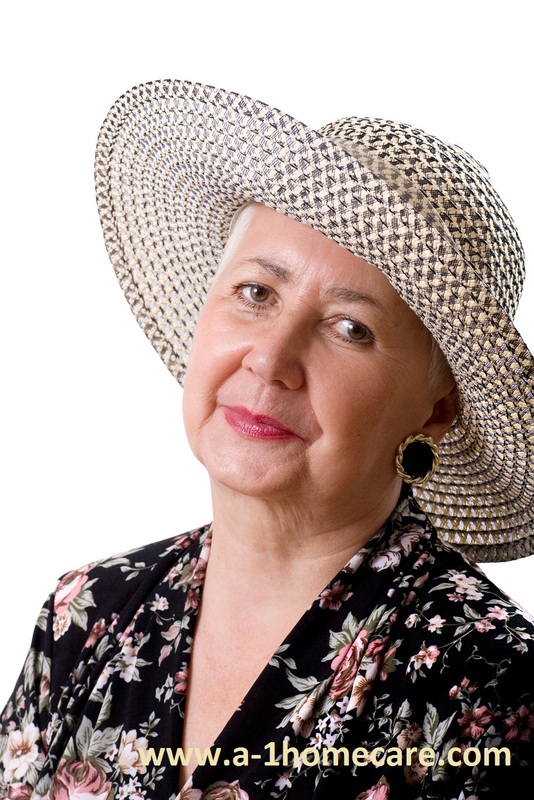 For helpful advice on what to ask potential caregivers, read our Care At Home article. Performing the duties of a caregiver isn’t easy work and not everyone is cut out for it. When you have an Elderly loved one who has lost some independence or all of it and needs living assistance, it’s common for family members to begin providing temporary care. More often than not, the family member providing care will get burnt out because the duties of care were more time consuming and exhausting than expected. 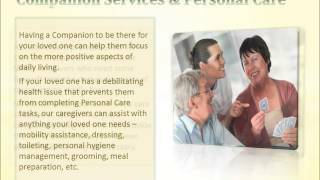 Home care agencies strive to find caregivers who have the right set of qualities to provide compassionate care. This article titled Characteristics of a Good Care Giver point out that a caregiver should be compassionate, understanding, reliable, dependable, patient, and flexible. Keep those qualities in mind when you interview potential caregiver candidates. When interviewing, be sure to look out for certain red flags that may hint at their inability to provide compassionate care. For example, if your loved one is present and they act as if they’re not there or treat them like a child, you might want to keep looking. If they have trouble answering your questions about experiences in the past, you might want to keep looking for a caregiver who has been able to successfully find effective solutions to problems. A-1 Home Care is a Licensed Bonded and Insured non-medical homecare agency that has been in business since 1991 with an A+ Rating from the Better Business Bureau and Shield Accreditation. We provide Live-In caregivers, nurse aides, and companions for Elder Care services such as Alzheimer’s Care, Arthritis Care, Parkinson’s Care, Diabetic Care, Cancer Care, Hospice Care, Post Stroke Care, and Incontinence Care. All of our caregivers must have prior work experience, verifiable professional references, a National Background/DMV Check, Tuberculosis testing, First Aid/CPR training, Malpractice/Liability insurance, and a personal interview with our office staff. We serve the communities of Downey, Whittier, Norwalk, La Mirada, Cerritos, Lakewood, Yorba Linda, Fullerton, Anaheim Hills, Seal Beach, and others in Los Angeles County and Orange County. To interview and hire a compassionate caregiver in your area, CALL us today at 562-929-8400. The phrase “Merry Christmas!” doesn’t sound so appealing this holiday season when you’re worrying about a terminally ill loved one. Instead of focusing on the holidays, you may be sorting out legal matters, arguing with family members, comforting family members – way too much going on in addition to your own feelings of grief, sadness, anger, or worry. This article titled How Can I Take Care of Myself While I Am Grieving provides some advice for coping with any grief you may be feeling. 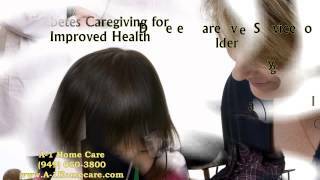 At A-1 Home Care we want to help enhance your Elderly loved one’s quality of life during their last few months or weeks. Rather than dealing with all the hassle of life-sustaining hospital treatment, Hospice Care can help your family grow closer to your terminally ill loved one because it allows care to take place in the home and focuses more on pain management and providing comfort and solace to your loved one and family members. 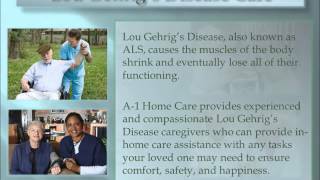 A-1 Home Care provides experienced and compassionate caregivers, nurse aides, and companions for in-home Hospice Care on a 24 hour live-in basis or hourly part-time basis. A-1 Home Care is a Licensed Bonded and Insured non-medical homecare agency that has been in business since 1991 with an A+ Rating from the Better Business Bureau and Shield Accreditation. We serve the communities of Downey, Whittier, Norwalk, La Mirada, Cerritos, Lakewood, Los Alamitos, Long Beach, Seal Beach, and others in Los Angeles County. A-1 Home Care accepts long term insurance plans from Penn Treaty, CALPERS, MetLife Insurance, Veteran Administration, John Hancock, and Bankers Life & Casualty. 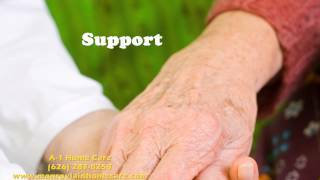 To hire a compassionate Hospice Caregiver in your area today, CALL us at 562-929-8400. At A-1 Home Care, we believe that one of the most important things that matter to Elderly individuals is maintaining their independence. When submitted to a nursing home or assisted living facility, they are subjected to unfamiliar surroundings and a structured routine. In other words, they’re robbed of their independence. With home care, your loved one is able to keep their independence by living at home and can focus on things they like to do – whether it’s activities they’ve never tried before or building their legacy by creating photo albums of their past. 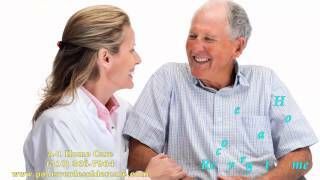 A-1 Home Care provides experienced and compassionate in-home care services in Downey, Whittier, Norwalk, La Mirada, Cerritos, Lakewood, Seal Beach, Long Beach, and others in Los Angeles County and Orange County. We offer a variety of Elder Care services such as Arthritis Care, Parkinson’s Care, Alzheimer’s Care, Diabetes Care, Cancer Care, and Post Stroke Care on a 24 hour live-in basis or hourly part-time basis. We are a Licensed Bonded and Insured home care agency that has been in business since 1991 with an A+ Rating from the Better Business Bureau and Shield Accreditation. If your loved one has long term insurance, we accept Penn Treaty, CALPERS, John Hancock, MetLife Insurance, Bankers’ Life & Casualty, and Veteran Administration. To hire a caregiver near you, CALL us today at 562-904-2878.